Color me "DESPERATELY WANTING"!!! ...even though this sounds mega weird. ....mmm. it sounds mega weird, but I went back... and got a second... and a third! It really was that good. 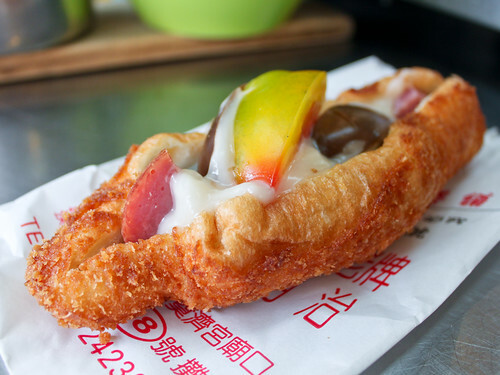 I think it was voted the #1 most eaten thing at Keelung or something like that. that looks pretty good but why is it called a "nutritious" sandwich if its on a donut bun? lol. I'd still eat it though! It's the texture of the fried bread. So light! But so sinful. 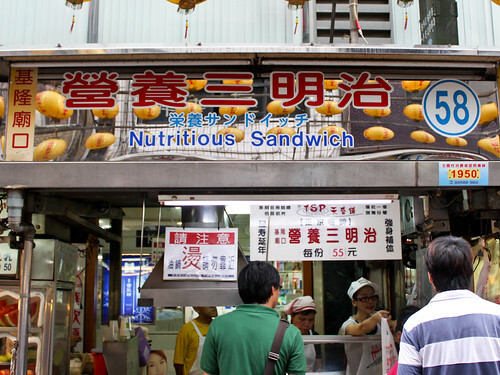 And Taiwanese mayo. That put that on everything. aka shrimp and abalone, with multicolour sprinkles as I like to explain to my HKer friends.